This Mother's Day card featuring pictures of the children or grandchildren would make an extra-special card for any mom or grandmother. 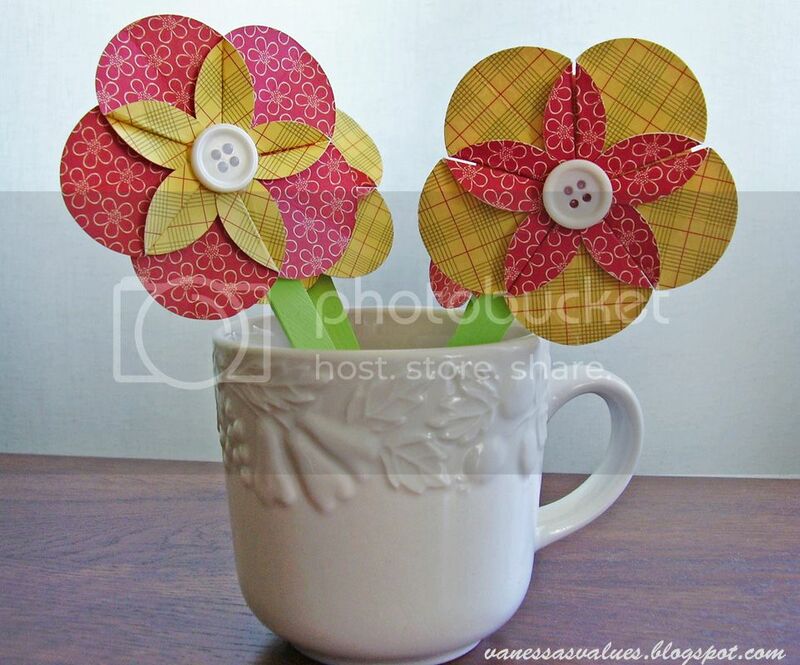 After you have made the card, use the circles to make paper flowers! Cut an 8 1/2" x 2" strip from the double-sided scrapbook paper. 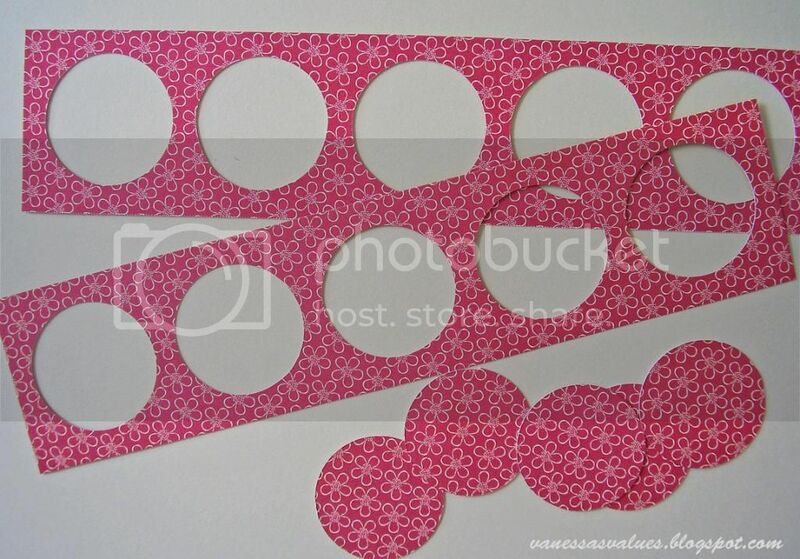 Using a 1 1/2" circle punch cut out 5 circles 1/4" apart and 1/4" from all sides. Set the circles aside to make paper flowers. 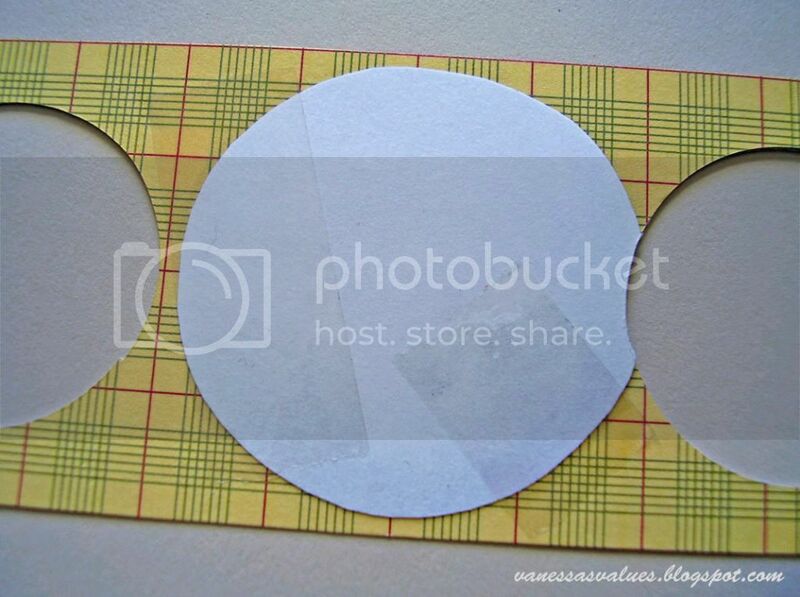 Cut circles from pictures making them slightly larger than the circle frames. Tape the pictures to the back of the strip. If the pictures overlap into the next frame, turn the strip over and use an x-acto knife to cut the extra away. 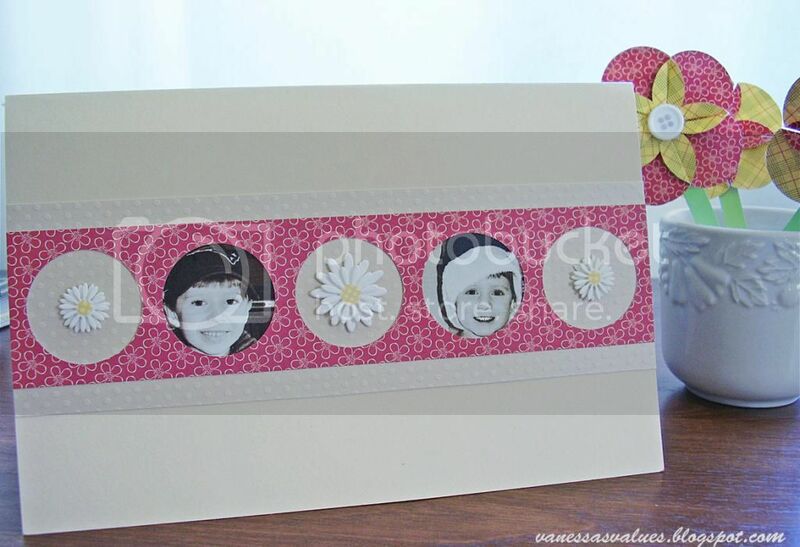 With a coordinating piece of scrapbook paper or cardstock, cut an 8 1/2" x 2 1/2" strip. 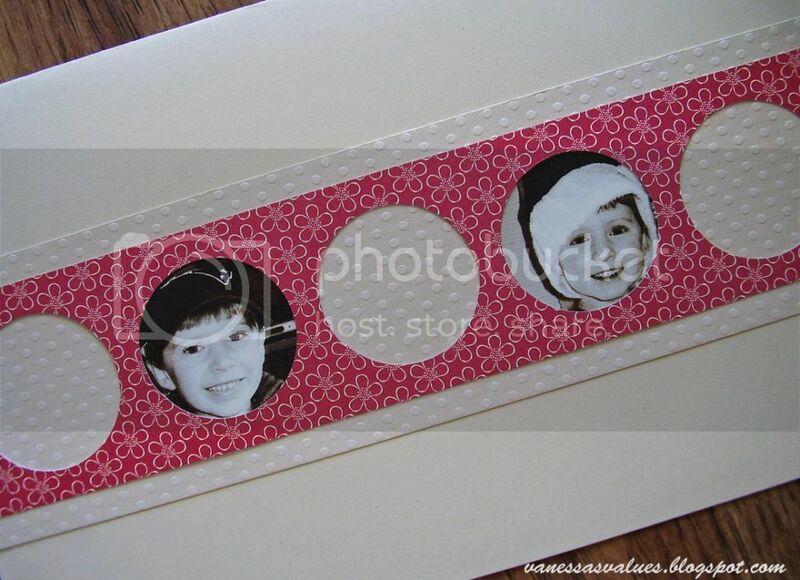 Using a glue runner or photo splits attach the frames to the coordinating paper. Fold a piece of 8 1/2" x 11" cardstock horizontally and attach the strip to the card. Trim the ends, if necessary. Fill all the frames with pictures or add embellishments such as stickers or a stamp to any empty picture frames. I followed the tutorial at Thrifty Mom and made paper flowers with the circles. 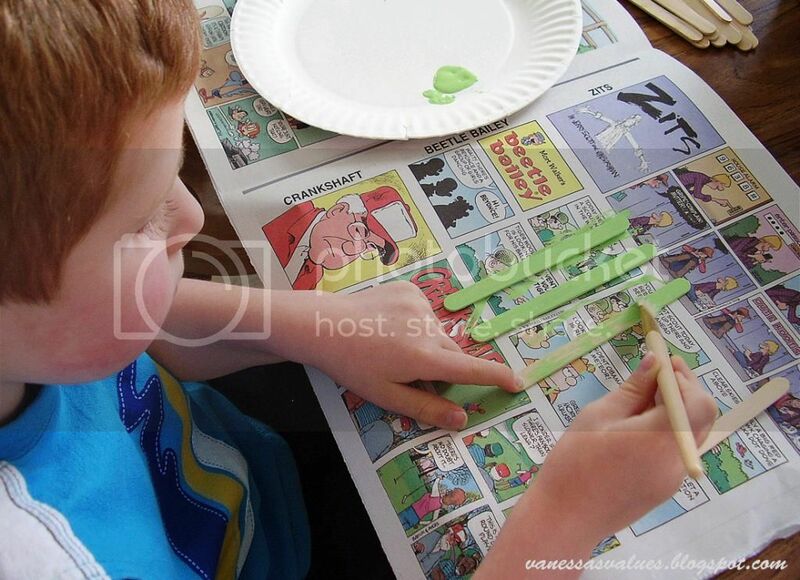 Instead of using straws for the stems, we used popsicle sticks that we painted with green acrylic paint and attached with a hot glue gun. those flowers are adorable! 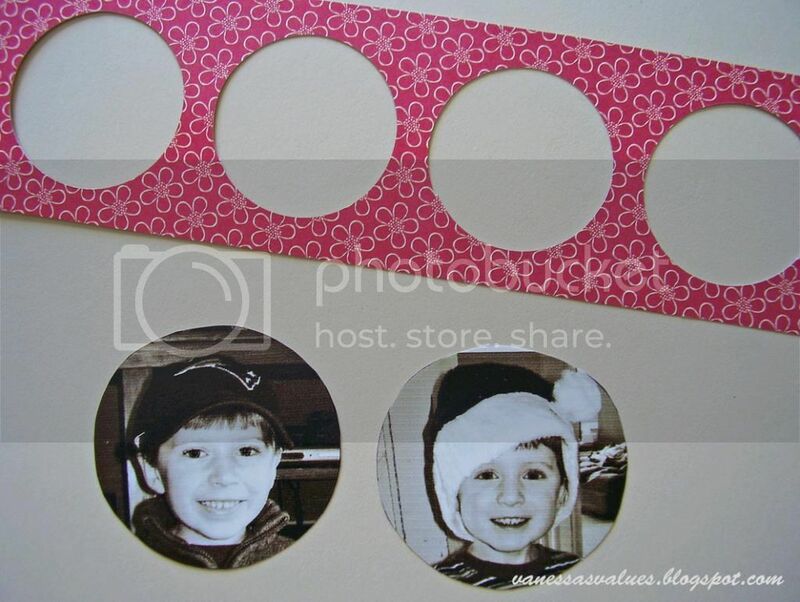 Love how you used the photos in the circled cut outs on the card! Becoming new follower!